We created a new design of Japan Map ( Marker+Infobox Type of the Google Map ). That's a design of "Hokkaido on the Sea of Japan and Okinawa on the Pacific Ocean"
We have a website for displaying Live Demos of WordPress Plugins which we developed. This page is displayed on our Web Servers in our own Data Center, but the Live DEMO site of WordPress Plugins that we developed is on a server abroad. We rent a webserver to display a href="https://www.secure-formmail.net/" target="_blank">our WordPress Plugins because we shouldn't install software that were developed by others. On the Live DEMO site of WordPress Plugins that we developed, we introduce WordPress Themes that others developed. Yes, this map is a Marker+Infobox Type of the Goole Map. We downloaded the markers from the site of 『無料素材倶楽部』. To click the markers, the infobox of this map opens by following the Google Map API2 generally, but the 2 iframe-parts DON'T open its infoboxes. To click Hokkaido, the list-page of Hokkaido opens on the same tab. To click Okinawa, the list-page of Okinawa opens on the same tab. If the mouse is on the Honshu ( the center parts of the Japan Map ), The part of Hokkaido and the part of Okinawa disappear. If there is a setting of Drag Map option at the Google Map API2's Options, you can display Hokkaido and Okinawa by dragging the map. If you'd like to create the Japan Map above, please contact us. 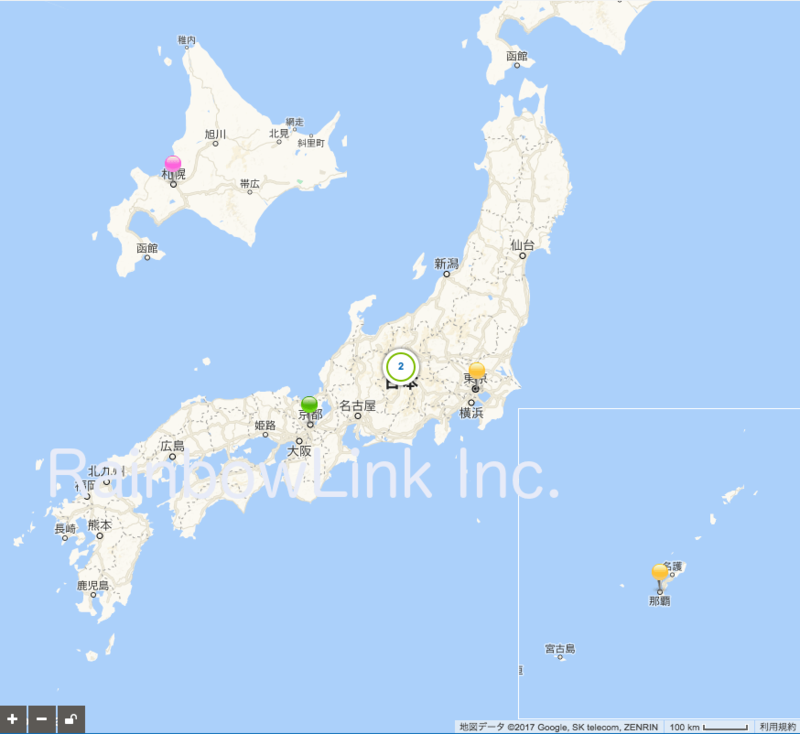 Inquiry About "We created a new design of Japan Map ( Marker+Infobox Type of the Google Map ). That's a design of "Hokkaido on the Sea of Japan and Okinawa on the Pacific Ocean""